Hola familia, I hope you all had a wonderful week! We're gonna keep this a bit brief today since we are driving down to the south border of our area again this week to chop some wood. Should be a blast! So, the week started out pretty interesting. We originally planned to have interviews with our new mission president on Tuesday in Lakeville, but it ended up being postponed to Saturday so they could split it up between the zone so we don't have to drive as far. It worked out just fine, but Elder Stevens kept saying, something bad is gonna happen that day! haha, well.. Sure enough! One of our cars got destroyed 😬. This truck in front of us ran over a piece of steel on the freeway and it got kicked up in the air and landed right on the windshield!! the whole thing was shattered, and lucky the Lord was watching over us that day because there wasn't a scratch on anyone! Pretty freaky though. On Wednesday, we went out to New Ulm and saw Sister Taylor from the ward who is the sassiest southern lady I've ever met. Haha, she's hilarious! She has some nieces and nephews visiting for the summer and we have started teaching them the gospel! We committed them to come to church and all four of them came! They are going to progress so much by the time they leave. Thursday during exchanges, I was with elder Newell and we contacted a nice Lutheran guy named Jim who was sanding his deck. We offered to help, but he said no. 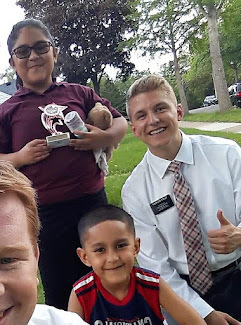 We ended having a really awesome conversation about living here in Mankato and it transitioned to churches and we eventually gave him a Book of Mormon! It was really sweet because he was talking about how blessed we are to have religious freedom and he said no matter where we are we should worship God and give him thanks every day. Then he flipped through the Book of Mormon and on one of the chapter headings read, "that men might worship in all places," and he was like Whoa! That's just was I was talking about! He seemed pretty enthusiastic about reading it. 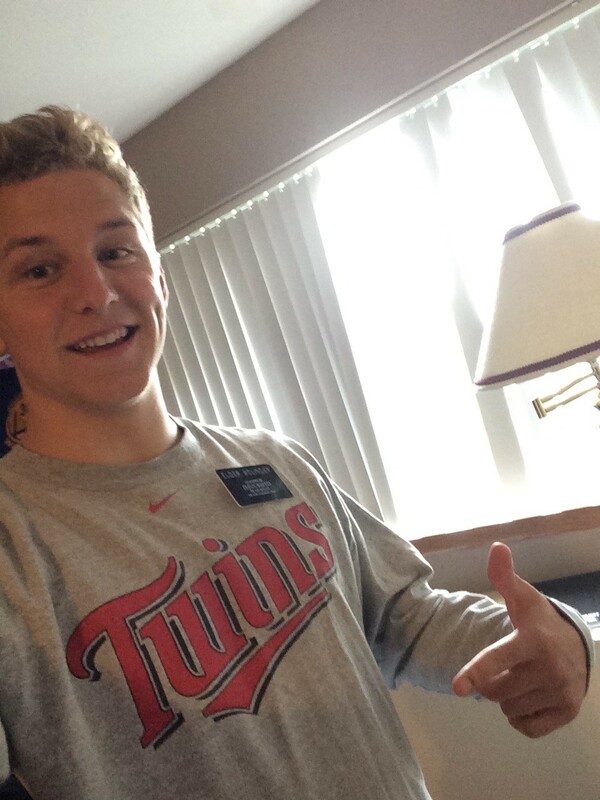 He didn't end up coming to church but we are going to see him on Saturday! We also got to do some service for one of the other elders’ investigators who is getting baptized soon. We did some deep cleaning and vacuuming which is always fun! Afterwards her daughters friend was over and she ended up asking a ton of questions about what we do as missionaries and what our church believes in. We all just sat around the table and answered the many questions she had and committed her to pray to know what church is true. So just from our example, it sparked her interest in the gospel! Super cool! I read a conference talk this week during studies that changed my heart. For me it was so much more powerful going back and reading it a second time. It's called "Jesus Beholding Him Loved Him." S. Mark Palmer talks about the story in the Bible about the young man who replied to Jesus saying that he has observed all the commandments since his youth, and Christ tells him to sell everything he has and follow him. In the gospel of Mark however, he mentions six profound words that gives more depth to the story. The six words: "And Jesus beholding him, loved him." As we picture the Savior with outstretched arms, beholding us and loving us for the potential we have, we feel a greater desire to follow him with all our hearts and fulfill his expectations. This is the same with others, especially the people we teach. As we call people to repent with love in our hearts, seeing them the way the Lord sees them, they will have a greater desire to change and reach their full potential! I know the Lord loves us, and through His love and grace we are enabled to do all that he expects of us. Thanks for all your love and support, disfrute su semana!